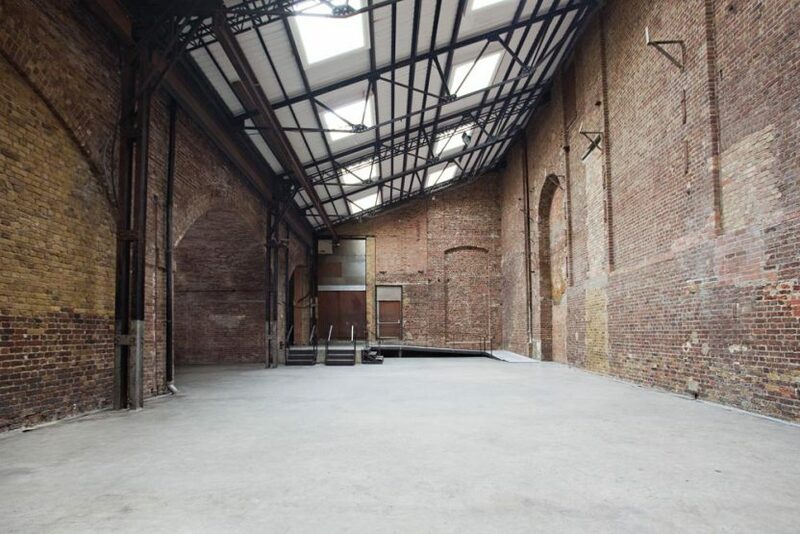 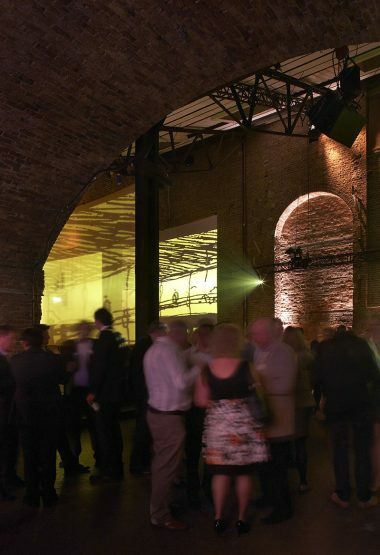 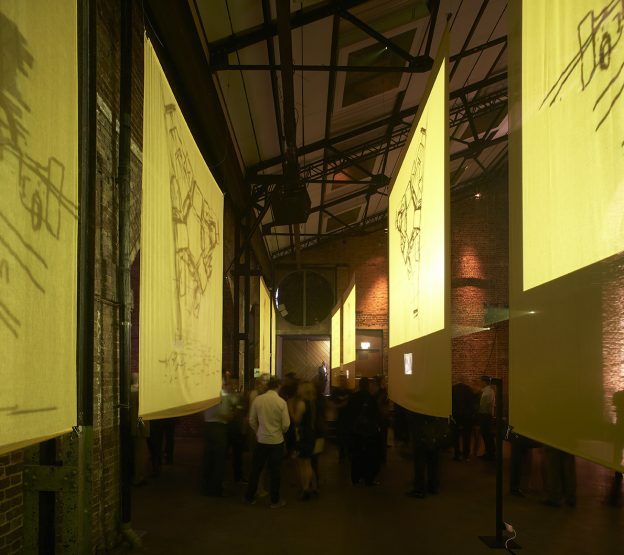 The Trace was an installation for Astudio’s 5th Anniversary Party at the Village Underground. 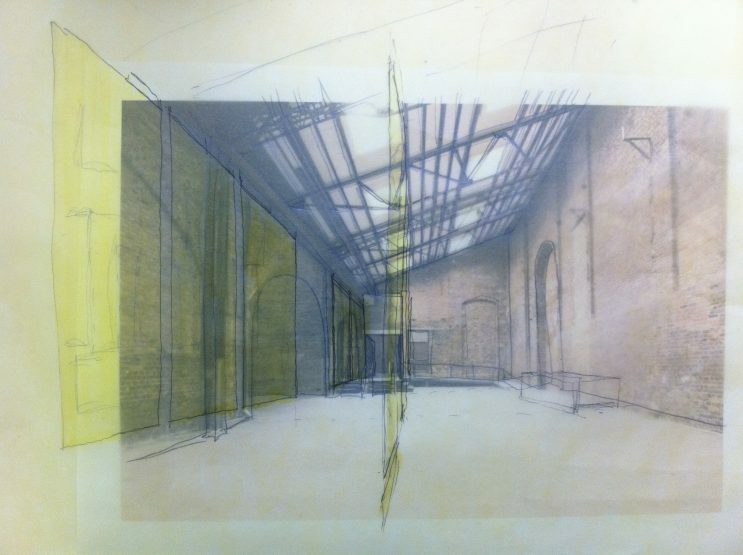 Astudio has a reputation for producing sketches up to a scale of 1:1. 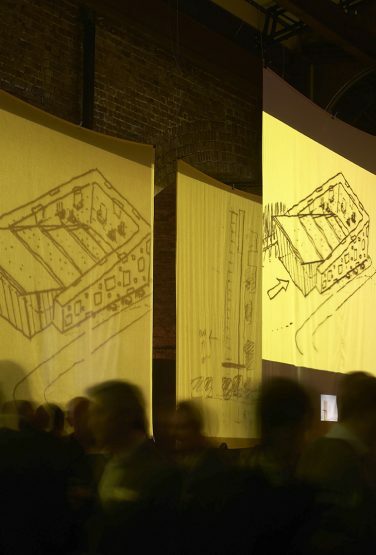 They are drawn on yellow tracing paper and kept as a collection for a kind of corporate identity of the studio. 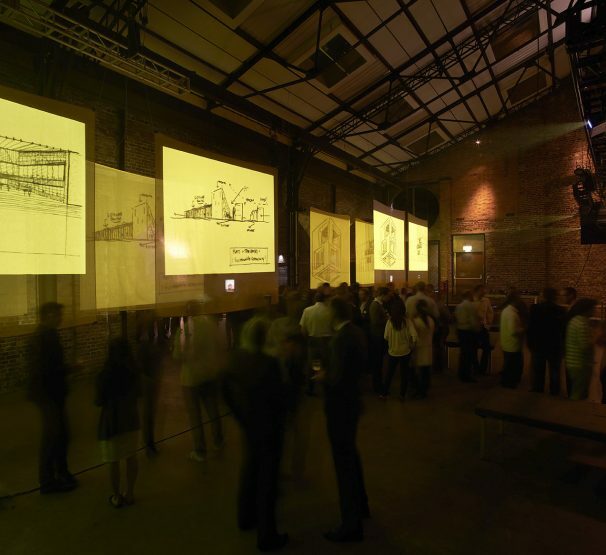 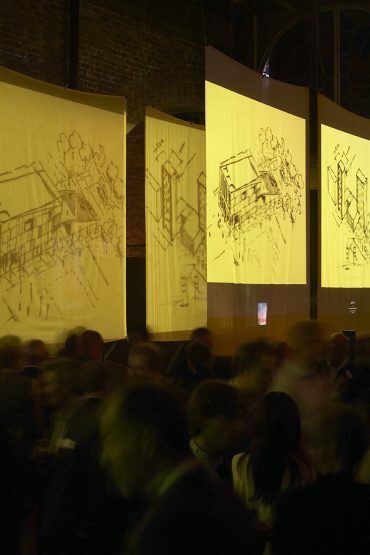 The installation refered to this notion by projecting the sketches onto large screens. 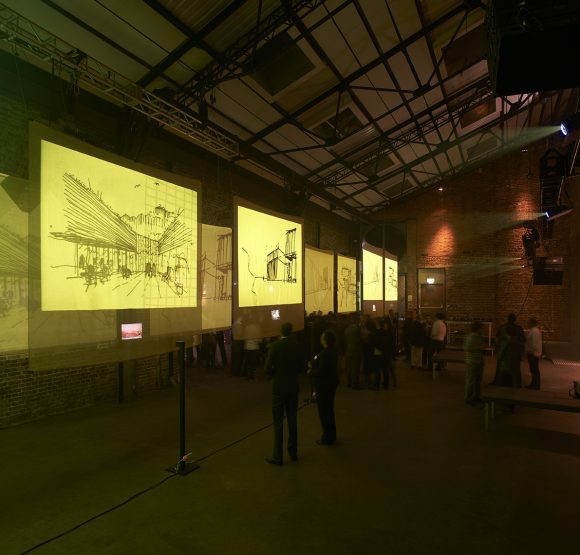 These screens were positioned centrally to create an entrance area and divide the space according to different functions.